BOILING eggs may be a beginner’s task to perform in the kitchen. But boiling them to perfection, on the other hand, is the mark of a truly experienced chef. Boiled eggs are a big part of the Malaysian foodscape, making its way into our everyday breakfast routine of half-boiled eggs with a sprinkle of white pepper and a dash of kicap in the local kopitiam. Our local Malaysian dishes such as nasi lemak, prawn mee, and mamak rojak are also accompanied by a side serving of hard-boiled eggs. There are many acclaimed methods out there of producing perfectly boiled eggs, whether you’re aiming for a soft-boil, medium-boil, or a hard-boil egg. For soft-boiled and medium boiled eggs, the focus is to perfect the cooking method and timing, to produce eggs that are cooked to the right texture – not overly firm or overly raw. These type of eggs are usually served in its shell. There are several suggested ways of cooking a soft-boil egg. Some suggest placing the eggs in cold water, and then bringing the water to a simmer, while others methods suggest placing the eggs into already simmering water. The cooking time for both methods vary – it is important to note that timing is everything when it comes to cooking soft-boiled eggs. For hard-boiled eggs, mastery is displayed when the eggs are firm, but not overcooked leaving a grey tinge around the yolk. Another mark of a perfect hard-boiled egg is when the shell peels off easily, leaving a smooth and flawless surface on the egg white, earning top marks for presentation. Tip from Seriouseats.com: To achieve the flawless peel for hard-boiled eggs, opt for eggs which are older (closer to the expiry date) and start cooking eggs directly from the fridge and into already-boiling water. 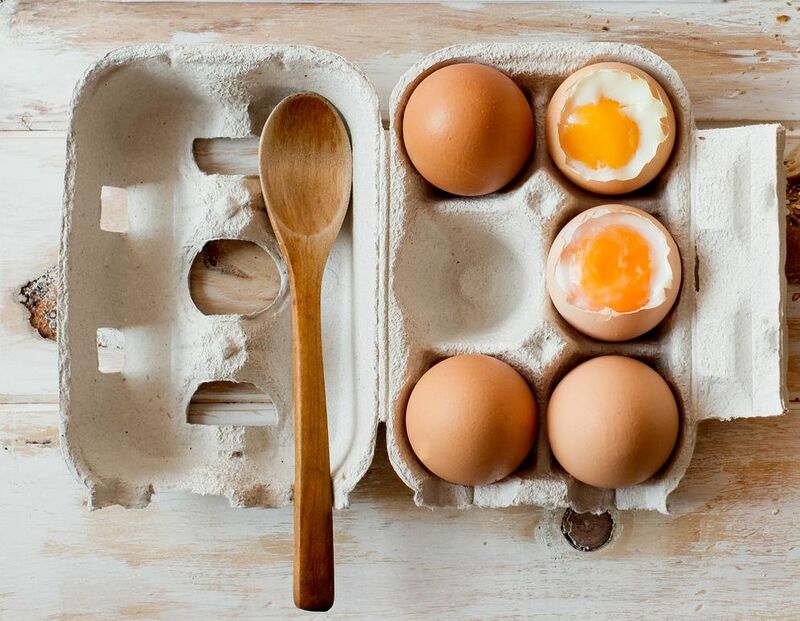 Here are some eggsellent articles that illustrate the different methods of creating the perfect boiled eggs. If you’re interested in the science behind the whole boiling process, you might be interested to check out the article by Seriouseats.com.